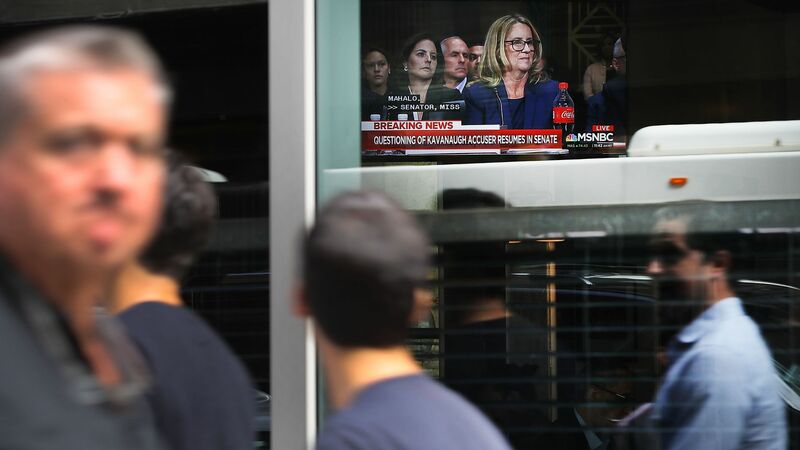 When Christine Blasey Ford finished her testimony, everything seemed to be going badly for Brett Kavanaugh. At first, when he strode across the hearing room and started yelling about a Democratic conspiracy against him, it seemed to be going even worse. But by the end, the normal partisan equilibrium was restored and it seemed he was likely to be confirmed. Key takeaway from inside the hearing room: Republicans found a way to rally to Kavanaugh’s defense without ever really saying what about Ford’s testimony they found unpersuasive. None of GOP prosecutor Rachel Mitchell’s lines of inquiry stuck. Trump’s always-hit-back strategy seems to be the thing that worked. Kavanaugh did it, then Lindsey Graham did it. During Kavanaugh's testimony, every Republican before Graham had yielded their time to the prosecutor. After Graham's fiery presentation, no one did. What if Kavanaugh is on the court and a Senate Democrat is president? It’s not that big a stretch. Will they get a fair hearing?